Why your web designer is damaging your business! Web developers – these are coders / programmers and the database dudes that do the unseen, but very necessary, stuff behind many websites. Web marketers / SEO – these are the people that take a website and get it in front of the eyes of motivated visitors / customers. Now, because of the level of the expertise required in each of the above and the complexity of each area, if anyone says they can do everything then they are probably a jack of all trades and a master of none. Web bods normally specialise in one area and possibly dabble in one or two of the other areas... take me for example, I do a bit of graphic / web design and also a bit of database development from time to time... but I'm only 'ok' at each of these (I've got other people to do this for me!)... SEO on the other hand is my forte and is an area in which I excel... so contact me if you are serious about results! When you want to get a website built you look for a web designer/developer... not an SEO expert. When your website is built and you want a return on your investment who do you turn to for SEO advice? Your web designer/developer of course... and while he may know more about SEO than you, that certainly does not make him an expert! If he was an expert you would not be dreaming of being on Google's page 1, you would actually be there already! Your web guy will happily charge you for their 'SEO service' without any guarantees... and you probably will be paying for regular activity reports rather than an increase in business from your website! Like you, I am a business person too, and I know that SEO is not an 'end' in itself, I know that when you are paying for an SEO service what you are actually paying for is a page 1 ranking in Google... and this is what I am guaranteeing you! The take-home message is: do not fall into the trap of thinking that being a good web designer is the same as being a good SEO marketer... they are as different as chalk and cheese... if you want efficient and effective SEO then you must use an appropriately trained SEO expert.. not someone trained in a completely different discipline! 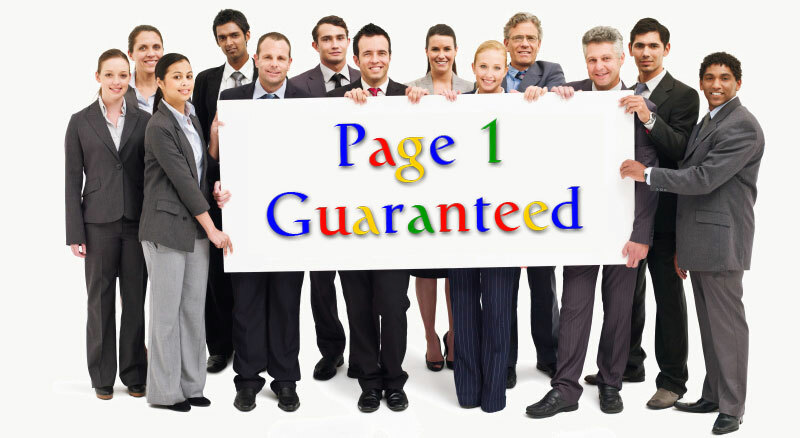 Contact me now to get your website onto Page 1 of Google – guaranteed!